If there’s anything solid about the Arrow series, it’s that it continues to introduce fantastic new elements that expand on the growing DC TV Universe The CW has successfully spawned with this show, The Flash, and the upcoming new spinoff that is “DC’s Legends of Tomorrow”. The second episode of The Flash Season 2 just properly introduced the “DC Multiverse” into the equation, so that means more exploration of parallel universes and alternate versions of characters far different from the ones we know. In the world of Oliver Queen however, things are taking a turn for the “Mystical”, and big baddie Damien Darhk was just the tip of a very big iceberg of supernatural and dark elements that the show will focus on this season. So now we come to the second episode called “The Candidate”, which focuses on a family friend of the Queen family making the move to run for mayor of the newly established “Star City”. 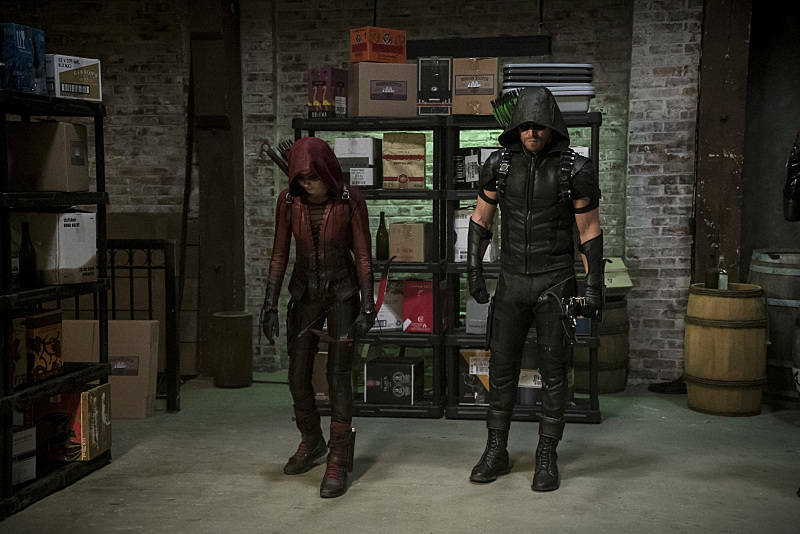 However trouble always comes forth and a new villain enters the picture in the form of Anarky, and Team Arrow’s got its own set of concerns in the form of Speedy’s ever growing aggressive nature, which makes Oliver worry for her sister. Put your SPOILER WARNING hats on… Welcome to RECAP. As one might expect from a typical episode of Arrow, it begins with the team working together once more as a cohesive unit after Oliver Queen properly assumes the new identity of “Green Arrow”. They work together like bread and butter, and are able to nab some baddies to keep Star City safe from trouble. Unfortunately that only solves part of the problems that plague the metropolis, as City Hall is still without a mayor and the infrastructure is all but in turmoil with a presence that inspires hope and vigilance. Enter Jessica Danforth (Jeri Ryan) – close friend to the late Moira Queen and family acquaintance of Oliver and Thea. She and her daughter Madison come back to Star City, and the former is inspired to run for mayor just like Moira did to bring hope back to the people. Unfortunately the track record of surviving Mayors and candidates for the position is low, and it’s no sooner that Jessica is attacked and nearly killed by a new player in Lonnie Machin (Alexander Calvert), who is out to prove himself to Damien Darhk and his organization H.I.V.E., albeit with methods that represent “Anarchy” rather than order. Despite working together with the same goal to protect the city, Team Arrow is all but clean from the inside. Oliver’s return and presence still has John Diggle sorting out his trust issues, not to mention his own agenda at getting to H.I.V.E for answers on his brother’s death. Also, Thea Queen/ Speedy exhibits more symptoms of being more aggressive and willing to use extreme force. Her “resurrection” via the Lazarus Pit has clearly changed aspects of her personality, which has Ollie worried to the point of confronting her and trying to suppress her dark tendencies. Felicity has problems of her own to deal with in assuming her CEO position in Palmer Technologies, which introduces her to Curtis Holt (Echo Kellum) – a promising technological wiz who may be able to help Miss Smoak with bringing the company back to prominence. Eventually Damien Darhk confronts Lonnie about his “methods”, and he gambles once more to make Jessica Danforth step down from her candidacy by kidnapping Madison. Team Arrow rushes to the rescue and stop Machin, but not without Speedy almost burning the man alive before Green Arrow saves him from certain death. After being taken by an ambulance, Lonnie manages to escape and kills his rescuers, leaving an Anarchy sign and officially adopting the “Anarky” persona. Even after saving the day, Oliver is left with more to prove to the city after saying he’s changed his ways. With Captain Lance still begrudgingly accepting help from Team Arrow and Jessica Danforth stepping down from her candidacy plans, he sees the need to make a difference while stepping into the light… And he tells Felicity that he will run for Mayor. Elsewhere, Laurel Lance/ Black Canary secretly enlists Thea’s help in recovering her dead sister Sara Lance’s body from her grave to bring it to Nanda Parbat and use the Lazarus Pit to restore her to life. The flashbacks meanwhile show Oliver successfully infiltrating the Island once more to get close to Reiter (Jimmy Akingbola), leader of an armed organization with mysterious intentions. 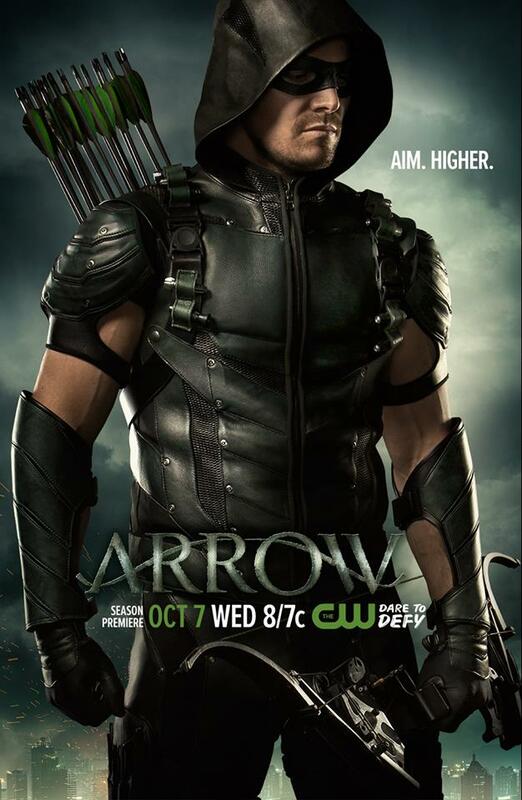 As we continue to progress onward, the current season of Arrow steadily continues to show so much promise of better story elements and progression on the life of Oliver Queen as a hero and beyond. The mysticism element is interesting, and so far the new characters and villains incorporated into the show are addressed properly and well. Jeri Ryan’s presence was a nice addition, and fans of Star Trek: Voyager and Mortal Kombat: Rebirth will be happy to see this legend in TV again, albeit in a minor role. Arrow shows every Wednesdays on The CW and on international channels like Jack TV and Warner TV on their respective schedules. Next articleMore ESSEN SPIEL 2015 Games You’ll Want to Watch Out For!